On March 14 legal hacking in Russia became a reality! and become a legal “cool” hacker! On March 14 Computer Training Center «Specialist» and EC Council legalized hacking in Russia. Now every self-respecting security engineer has a legal opportunity to study at ethical hacking courses in Russia. On March 14, 2011, an international launch of ethical hackng courses took place around the world. Tens of thousands of Russian security engineers gained access to secret chips and techniques of hackers at the authorized courses of ethical hacking at the Center "Specialist". Center "Specialist" and EC Council started a new chapter in Russian history of Information Security. At the press conference Sergey Klevogin, a certified instructor on ethical hacking, demonstrated how to protect information systems using techniques and methods based on offensive tactics of hackers. "Knowing the website vulnerabilities, a security engineer can almost fully protect the system from the penetration. On the courses of ethical hacking we teach not to hack, but competently defend the company's computer network from the intrusion. Prior to that the security engineers worked at the client side. Now they`ve received the opportunity to “be the real hackers” at the side of their sworn enemy. Knowing all the opportunities and logic of hacker, security engineers can easily prevent the slip of information, as well as catch the “intruder” using his own tools," — said Sergey Klevogin. The representatives of leading computer media in Russia, such as "Hacker", "PC World», «Hard & Soft», «ComputerBild», «Chip» and «PCWEEK» were invited to participate in the presentation. The largest Russian TELECOM-operators and banks expressed particular interest in course">Certified Ethical Hacker (CEH)". "In the telecom and banking sector work thousands of security engineers that constantly need to improve their skills in the field of information security. Ethical hacking courses – it`s a new elite step in training professionals in the field of Information Security. "Specialist" is the market leader in computer training, and we are proud to become the first EC Council authorized training center in Russia providing courses on ethical hacking. In Russia, as we know, there are the most talented and ingenious hackers in the world. I believe that ethical hacking courses would enable them to apply their brilliant “skills” not on the enemy side, but in the largest IT companies of the world, working for the good of the community" — said Dmitry Gudzenko, the director of Computer Training Center "Specialist". EC-Council certification Programme is officially accredited by United States Department of Defense and provides undeniable advantages to Information Security Professionals over their competitors. 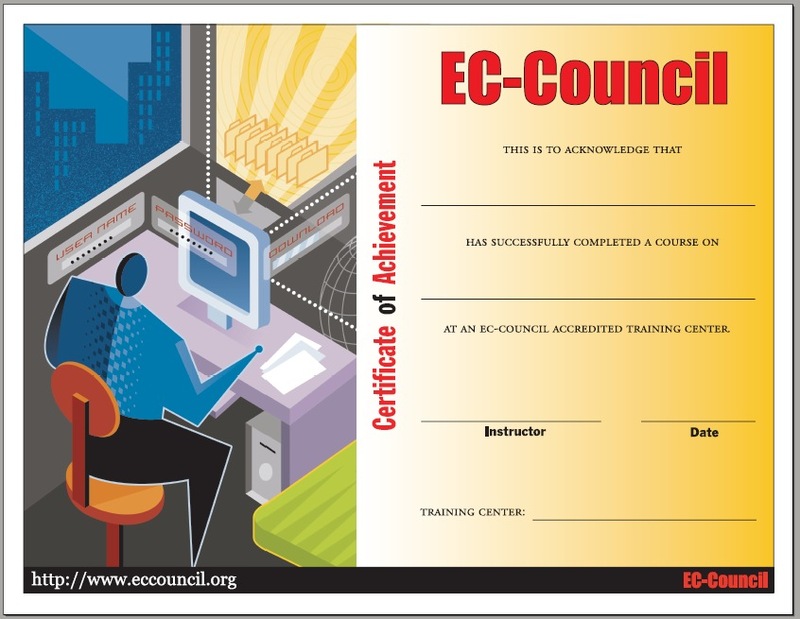 Upon the completion of CEH the trainees receive EC-Council international certificate in Ethical Hacking. Status of Cisco Authorized Training Center, Aladdin Authorized Training Center and Microsoft highest partner status — Microsoft Partner Gold Learning, — provide high quality of “Specialist” training programs. In addition, Center "Specialist" is Authorized Center of real experts in the field of information security — CryptoPro, Kaspersky Labs, ESET. Hurry up to learn real life hacking methodology and become a legal “cool” hacker!